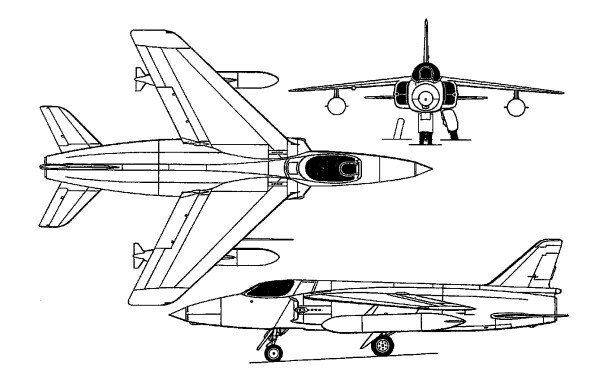 Developed from the Fo 139 Midge, the Fo 141 Gnat was designed as a light fighter. 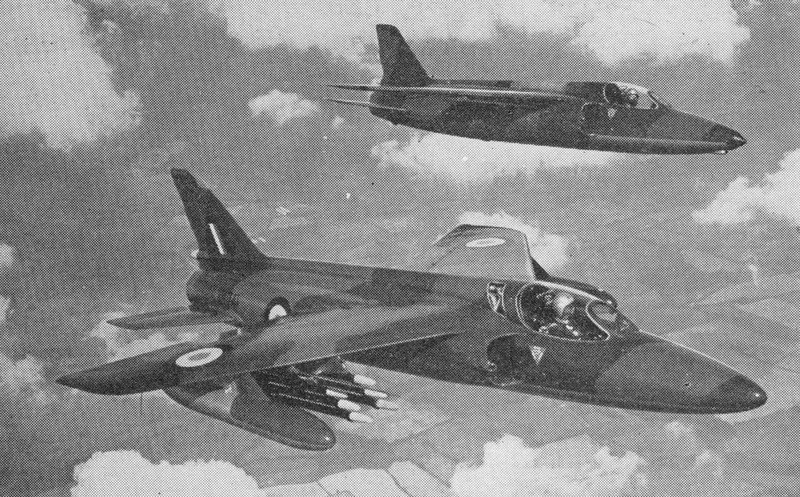 The private-venture prototype Gnat, piloted by Folland's chief test pilot, Squadron Leader E. A. Tennant, first flew at the Airplane & Armament Experimental Establishment at Boscombe Down on 18 July 1955. The aircraft was powered by a newly developed 1490kg thrust Bristol Orpheus turbojet. A more powerful version, rated at 1814kg thrust, was installed on 30 August for the Gnat's debut at that year's SBAC flying display and exhibition at Farnborough. Six development aircraft were ordered by the Ministry of Supply in August 1955, the first flying on 26 May 1956, and these were used for a variety of trials at Boscombe Down, including firing of the 30mm ADEN cannon, one of which was fitted in the lip of each intake. Evaluation in the ground-attack role was undertaken in Aden, in competition with a modified Hawker Hunter. 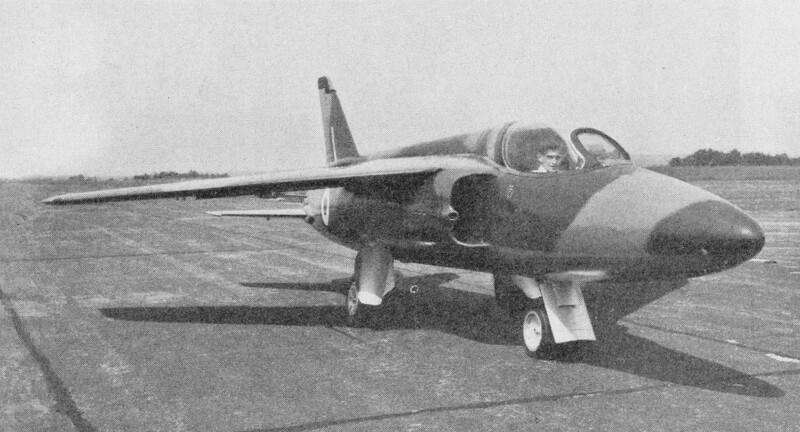 Although the Royal Air Force had lost interest in the Gnat as a fighter, the Finnish air force took delivery of 13 aircraft in 1958-59 and these remained in service until 1972 when they were replaced by Saab Drakens. Two of the Finnish aircraft were fitted with camera noses for fighter reconnaissance duties. The Yugoslav government also bought two but the major export order was from India: 40 airframes in various stages of completion were supplied from the UK, and licence-production was undertaken by Hindustan Aeronautics Ltd at Bangalore, local production accounting for 175 aircraft. The Gnat entered Indian Air Force service in the spring of 1958, when the Gnat Handling Flight was first formed, and ultimately eight squadrons were equipped.